After a brief moment of disarray, PayPal has released the funds earned in the Yatagarasu Attack on Cataclysm Indiegogo page. 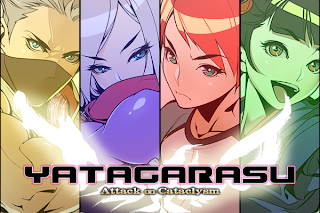 Seon King of the Yatagarasu Attack on Cataclysm Indiegogo page revealed that PayPal initially held out on releasing the funds that the game's developers earned in their crowdfunding efforts. That didn't last long as King updated the page just 14 hours later to announce the funds had been released. PayPal originally wanted to hold the funds and only release up to 50-percent before Yatagarasu's release. The rest was to be released only after PayPal had verified copies of paid invoices. The game reached its initial and stretch goal for GGPO implementation last month.